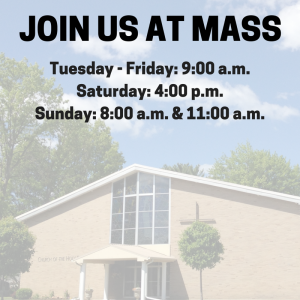 The Transportation Ministry provides rides to and from weekend masses for those in our parish unable to drive. Currently, 5-6 passengers are transported in the parish van to the Sunday 11am liturgy. Drivers and helpers volunteer about once a month to provide this service; scheduling is very flexible. No special license is needed, the only requirement is that drivers must take the NYS 6 hour driving course for insurance purposes. Helpers need no training, only the ability to help epople in and out of the van. With additional help we could provide rides to other masses. Please contact Mike Pellicciotti at 607.768.4948 or the parish office for additional details and to volunteer to help.